Nearly 80% of luxury sales are digitally influenced, and luxury ecommerce spending is expected to more than triple by 2015, according to a study by McKinsey & Company. Despite these numbers, luxury brands remain hesitant in entering the ecommerce arena, whether it’s their own direct-to-consumer sites or marketplaces like Amazon. There is one global etailer that has been able to partner with luxury brands and their parent companies: Alibaba. The Chinese giant recently announced a partnership with Net-a-Porter, a luxury ecommerce store that is owned by the same company of Cartier and Chloe amongst other luxury powerhouses. Luxury brands have feared ecommerce for two major reasons: prevalence of counterfeit products and fear of losing the allure and exclusivity of their products and brand. With this and the global trend towards ecommerce dominance for consumer spending, how did Alibaba position itself to be the partner of choice for the reluctant luxury good industry? Alibaba entered the luxury market in 2017 by launching Tmall Luxury Pavillion as an extension but separate marketplace to Tmall. The site is invite-only for brands and aims to bring the same brand exclusivity and tailored shopping experience that consumers would get in a brick-and-mortar store the world of e-commerce. Bringing in these central tenants of luxury goods is something brands and retailers have been trying to maintain as they enter digital commerce. Luxury Pavillion has brands like Maserati and Burberry using it to benefit from Alibaba’s technology infrastructure and to penetrate the growing luxury market in China. Luxury Pavillion was born out of Alibaba’s “New Retail” push to embrace the best elements of online and offline commerce. Brands selling on it benefit from consumer engagement to smart logistics to deliver a seamless shopping experience to consumers and are provided with insights into their consumers that can shape strategy. The Net-a-Porter partnership includes apps and omni-channel experiences, like Alibaba’s “See Now, Buy Now” digital fashion shows that are part of their strategy to capture the attention of China’s emerging luxury buyer: young people. 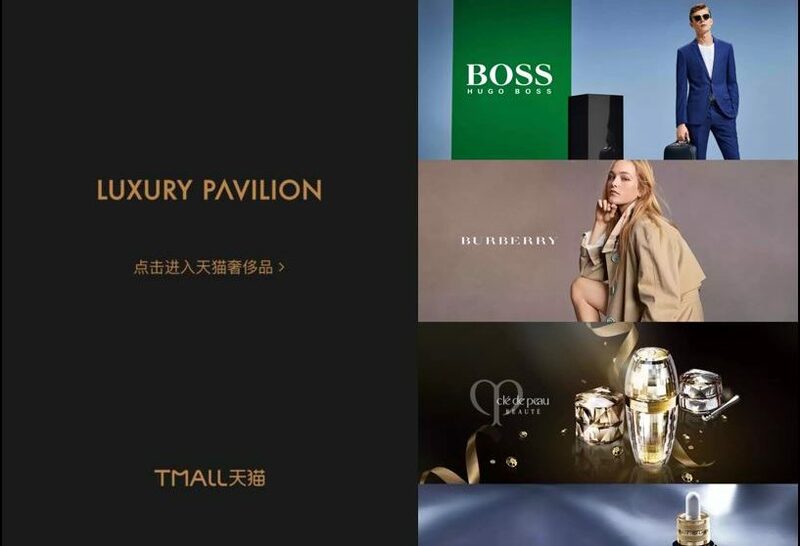 Luxury brands are eager about to use new retail technology and consumer insights to connect with their younger consumers, and the Tmall Luxury Pavillion offers an easy transformation. Chinese buyers dominate global luxury goods spending: they account for 32% of market share, which is equal to the U.S. and Japan luxury spend combined. As China’s middle class grows and it’s wealthy continue to outpace the spending habits of other high-spending countries, luxury brands are angling themselves to be where consumers spend their money. Over two-thirds of online luxury buyers in China are under 37 years old. This is a significant indication that luxury brands need to be on digital marketplaces in China to capture these target demographic as their buying power becomes more prominent.